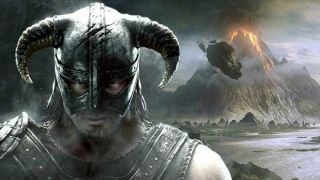 While fans wait with bated breath for more news on The Elder Scrolls 6, a legal battle between Bethesda's parent company ZeniMaz Media and BookBreeze.com has potentially been putting a spanner in the works. But an agreement might be on the horizon. This legal battle has been going on for a while, with Bookbreeze.com (aka author Jay Falconer) disputing ZeniMax filing a new trademark for 'Redfall', which the company stated was for "computer game software for use with computers and video game consoles". In other words, it's possible that this could be the name of the upcoming Elder Scrolls 6 game – due to the Redfall location in Tamriel, or the Redguard race in Elder Scrolls. However Falconer claims that he has already developed a brand under the Redfall name and, according to a blog post, is disputing ZeniMax's filing "to protect what I feel is my ownership of the brand, and to protect my right to sell books (print, ebook, and audiobook) and the movie/film rights". "I want all of you to know I'm not trying to stop the game nor am I trying to get any money from the game. I want nothing from the game at all," Falconer wrote. "I’m only trying to protect my ability to keep selling my books. This is simply a dispute over a trademark name. Nothing more. It’s not a cash grab – I want nothing from them and it should in no way hold up any game. "With that said, we can avoid the USPTO all together and find a no-cost resolution once all parties have a conversation. We just need to have that conversation. I’m ready and willing and open to whatever resolution makes sense." Could an agreement be in the works? However, as spotted by our sister site GamesRadar, an agreement may be in the works. According to the United States Patent and Trademark Office, the Redfall trademark application documents state that ZeniMax has requested the dates to be pushed back a month as the “parties are engaged in settlement discussions”. According to GamesRadar's research, those settlement discussions are likely being used to avoid a long trademark dispute, which would prevent us hearing any more information about The Elder Scrolls 6's official title until 2021. Both parties agree to enter into a coexistence agreement, which allows them both to use the Redfall name (ZeniMax would have to pay out to Falconer). ZeniMax withdraws the application but enters into a license agreement (paying a fee) to Falconer. ZeniMax pays a one-off sum for Falconer to withdraw his opposition. It's not yet clear which of these options the two parties will agree upon, however Falconer has been adamant that the dispute is not a "cash-grab", so it's likely option three is off the table. While we're hoping to see more of The Elder Scrolls 6 at E3 2019, it may be a while yet before we know the game's official title.